Listen, Linux users: we need to talk. We have a mail problem. Don’t get me wrong – I love Thunderbird. It’s been the default mail client for years. But Thunderbird certainly ain’t pretty. Let’s be honest – it’s been probably a solid five years or more since Mozilla’s classic email client has seen any kind of revamp to its user interface. And to be completely honest, I’ve finally had enough. I’m a multi-platform user, running OS X on my laptop and dual-booting Linux and Windows 8 at home, and there’s a fair share of slick, powerful mail clients for the other two major operating systems in the world. OS X is certainly the king here – with a solid proprietary mail app in Apple’s “Mail”, and great third-party programs like Sparrow that bring speedy search algorithms to the desktop email experience (despite the fact that the devs were recently bought out by Google and have now left Sparrow unsupported) and more recently the beta-only app Airmail, OS X has a plethora of options for users that need to manage multiple email accounts. The Windows front is a little less appealing (Postbox being the most robust), but the integrated mail app for Windows 8 has its own strengths. When it comes to Linux, however, we’re left with the old faithful, Thunderbird. Mozilla’s mail client has become such a staple of the Linux world that it comes bundled with a number of distros, and for good reason. Thunderbird is open source, it plays nice with integrated features such as Ubuntu’s messaging center, and it’s a security champ. All in all, it’s easy for the open source community to work with Thunderbird. But it seems that as of late Mozilla has slipped into a sense of complacency with Thunderbird – updates are frequent enough, but they generally only focus on security. We haven’t seen a UI update in far too long, and it’s honestly starting to show. And beyond Thunderbird, the picking are even more sparse. Old standards like Claws and Kmail offer hardly an improvement over Thunderbird. So what’s a Linux user to do? Fear not – if you, much like your humble author, find Thunderbird lacking, Yorba (the developers that brought us Linux’s widely acclaimed “Shotwell” photo manager) are currently at work developing Geary, a modern mail client for Linux. Currently at version 0.22, Geary isn’t quite ready for the spotlight (still lacking some major features), but it brings a modern design aesthetic to Linux email clients. It features a triple-column design that’s reminiscent of the previously mentioned Sparrow and Airmail apps for OS X – important because with modern high screen resolutions we don’t need to split the “main” content area vertically between messages and individual mail views – there’s plenty of room for highlighting the current message you’re reading as well as the entirety of your inbox. One of the areas Geary truly shines in, however, is how lightweight it is. Thunderbird and other Linux mail applications often feel a little cumbersome – and especially on slower systems they can cause some substantial drag. Geary, on the other hand, tends toward the lighter side, making it a great choice for low-spec systems. Geary also features a simple integration of Gmail and Yahoo Mail accounts – allowing for a simple, straightforward login. A few complaints can be found, though. First, and most frustrating: the current 0.22 release of Geary still lacks support for multiple accounts, which are the sole reason for using a mail client to begin with. Luckily, the problem is fixed relatively easily by opting in to Yorba’s daily releases, which have integrated multiple account support. Second, it lacks a robust search feature. This is an essential that simply cannot be overlooked. The developers are, of course, busy at work on implementing these features, but the search feature has yet to hit the daily releases. Nonetheless, Geary represents something that is important to me: a Linux application that focuses not only on security, stability, and customization, but also a focus on modern design and usability features. 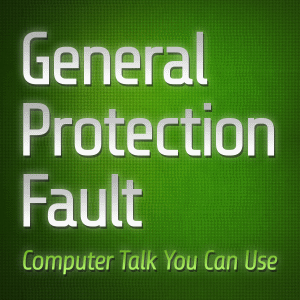 And it’s something that I hope is just as important to other Linux users. As much as I love being able to tweak and modify Thunderbird to my exact specifications, it leaves me wanting when I compare it to the modern mail clients I use on the other platforms I use daily. And that’s why I think Yorba’s Geary could be (but isn’t yet) a Thunderbird killer on Linux. 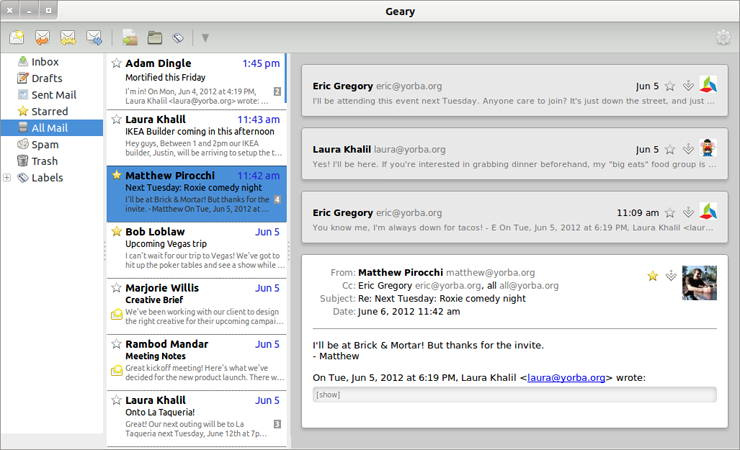 Geary looks indeed very promising, I am tempted to try it out. I was a little surprised that you were only talking about Thunderbird for the one email client for Linux. I have been using Evolution since many years and I really enjoy all the many features. It does everything I need an email client to do and it looks great! Why did you omit to talk about Evolution? 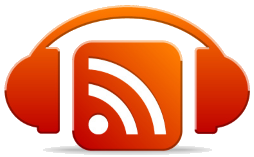 It is also open-source, although it might be a little more cumbersome. But for people with a fast enough system who prefer a modern and enterprise-like product, it’s just amazing! I just wanted to point that out. Geary does IMAP ONLY. If like me, your service is POP-based you’re out of luck, so uninstalled it. Started using Geary today, however I had to turn the Google Security Setting that prevents non-google apps and other “less secure apps” from signing in to OFF. Until I did that Geary threw the “Unable to validate” error at me earnestly. Having said that I am liking Geary, however the “less security apps” sowed the seeds of doubt and anxiety, what is the worst that could happen with such less secure apps, I wonder?